Pass Plus is an advanced driver training course designed by the Driving Standards Agency (DSA) to make newly qualified drivers become better drivers. 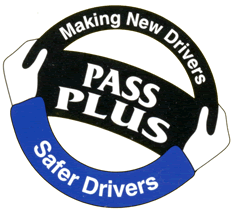 Pass Plus can also give drivers a number of other benefits, such as cheaper motor insurance. Statistics show that the risk of having an accident is highest during the first years of driving after passing the driving test – This is the main reason why the Government launched the Pass-Plus scheme. The scheme consists of six modules, which follow on from a successful practical driving test. The modules take a minimum of six hours to complete. You will have to reach a set standard for each module – a module can take just one lesson or sometimes more. When the required standard for a module is reached, your instructor will sign and date the section as completed. The second part is driving lessons either in Sutton, Wallington, Epsom , Banstead or Cheam town centres covering the different features of driving in a town, such as complex junctions and public transport. The driving lessons also cover the correct use of a horn, coping with mud and debris on the road and how to use passing places.